Convert PDF to one continuous HTML Page. Set image color depth and quality. VeryPDF PDF to HTML Converter is a handy tool which can help you convert PDF to HTML, enabling you to publish your PDF online easily and conveniently. You can use PDF to HTML Converter to convert multipage PDF file to one continuous HTML page, or convert multiple PDF files to several HTML pages. You don't need to install any third-party application on your computer. In addition to the GUI versions, PDF to HTML Converter has a command line version named PDF to HTML Converter Command Line which is useful for batch process or manual control. Supported by Microsoft Windows 98/ME/NT/2000/XP/2003/Vista/7/2008 of both 32-bit and 64-bit. 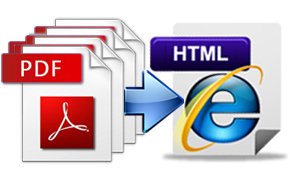 You can use PDF to HTML converter to generate a single HTML page from a PDF file with multiple pages. This can help you conveniently make a single webpage, and publish your PDF online. You can also use this tool to create a HTML page from each page of a source PDF file. You can customize your HTML by setting HTML page title, keywords, background color, and space between characters. Furthermore, you can delete images, and insert your homepage URL into the HTML page index, retain hyperlinks from PDF to HTML, and optimize and scale HTML pages for different screen resolutions. PDF to HTML converter can help you well preserve the original images from PDF to HTML. It supports monochrome and color JPEG, and allows you to customize the output JPEG image quality. 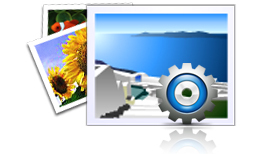 You can also use this tool to adjust pictures to fit frame borders. No need for third-party PDF software in conversion. Able to replace fonts and characters in generated HTML pages. Convert external fonts into text and embedded fonts into images. Link page numbers to corresponding generated pages. Accurately preserve text, tables, graphics and Layouts. Generate navigation and page index bars for HTML pages. Add a specified URL to the navigation bar. Support PDF format up to version 1.8. Automatically open converted HTML pages after conversion. Support all the features of PDF to HTML Converter. Output PNG, GIF or JPG image (option "-imgformat"). Control the X & Y coordinates for every word accurately in HTML (option "-oneword"). Search engine optimization (SEO) for Google, Yahoo, Bing, and AOL in HTML. Customize HTML Meta Tags, such as title, description, keywords, email, publisher, copyright, author, robots, distribution, etc. (edit the file "htmlinf.txt"). Create a plain text file for index or SEO (file "outlines.txt"). Insert page text contents into "keywords" Meta Tag for SEO (option "-noseo" for switch).